Need that finishing touch to your new home or remodeling project? How about a stunning glass shower enclosure or unique wall mirror? 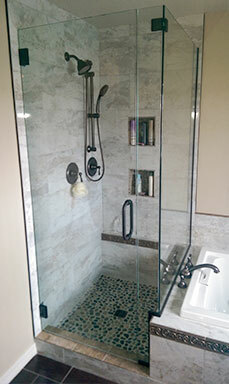 We feature everything from simple by-pass doors to frameless heavy glass enclosures. We offer clear, obscure, etched or sandblasted specialty glass for that “just right” look. Whether you want polished edges, beveling, special shapes or stand-offs you’ve come to the right place. Your design becomes our challenge! © 2014 Twin Falls Glass, All Rights Reserved.